Thanks to a vast trail system and some of the most spectacular peaks in the United States, Aspen is an mecca for overnight backpacking trips. Take your pick of spectacular landscapes, from beautiful backcountry wilderness to serene alpine lakes, with any of these amazing backpacking trips around Aspen. And there's plenty of time to squeeze in one or two before the summer is over. Wherever you go, however, keep in mind the basics: Whatever you pack in, pack out; check the weather forecast beforehand; and always be prepared for afternoon thunderstorms, a summer staple in the Colorado high country. The popular multi-day route takes adventurous campers through 26 miles of aspen groves, over four 12,400-plus-foot peaks, and among serene mountain lakes. Certain vantage points provide incredible views of two of Aspen’s 14ers, Pyramid and the Maroon Bells. Named for the four Snowmass Wilderness passes that the trail crosses, Four Pass Loop features brag-worthy conquests of West Maroon Pass (12,500’), Frigid Air Pass (12,415’), Trail Rider Pass (12,420’), and Buckskin Pass (12,500’). Starting and ending at the West Maroon Portal, the Four Pass Loop is indeed a true loop. In the summer months, backpackers are treated to high-alpine aspen meadows dotted with brilliantly hued wild flowers, and, in the fall, aspen leaves gleam bright gold as far as the eye can see. 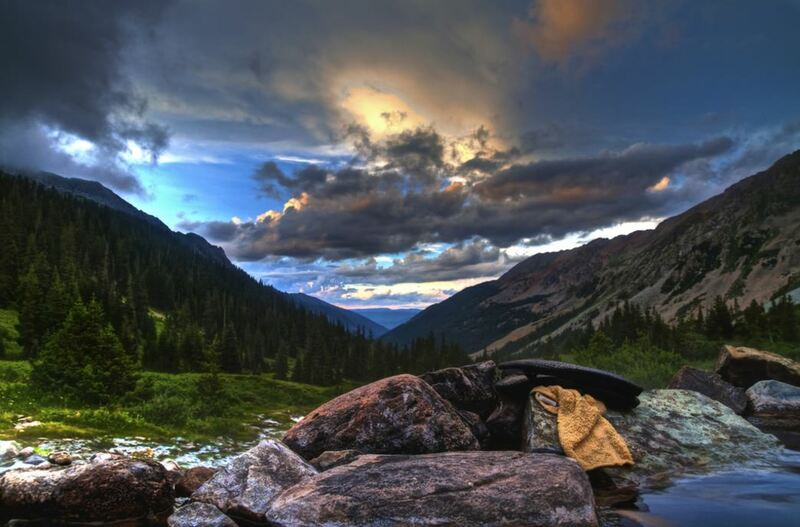 Popular camping areas include sites just below West Maroon Pass, along the pristine Crystal River, Love’s Cabin, the ridge above Snowmass Lake, and Minnehaha Gulch. If you are looking to see a variety of Rocky Mountain ranges in one go, Midway Pass Trail is a perfect choice, but you'll have to conquer some serious elevation gain to enjoy them. 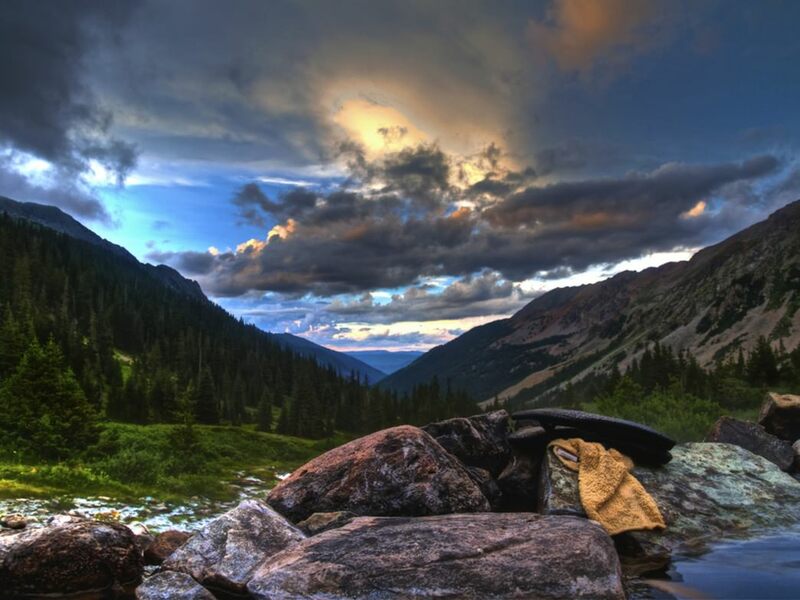 Situated 14 miles from downtown Aspen along Independence Pass, Midway Pass Trail is a lesser-traveled, 8.8-mile trip to the 12,120-foot Midway Pass, ending in the Hunter Creek Valley just outside of downtown Aspen. Start from the Lost Man Campground trailhead, also known as the lower Lost Man Loop access point. Route-finding skills and a topographic map are a must for this excursion. The Midway trailhead is a half-mile from the parking lot. 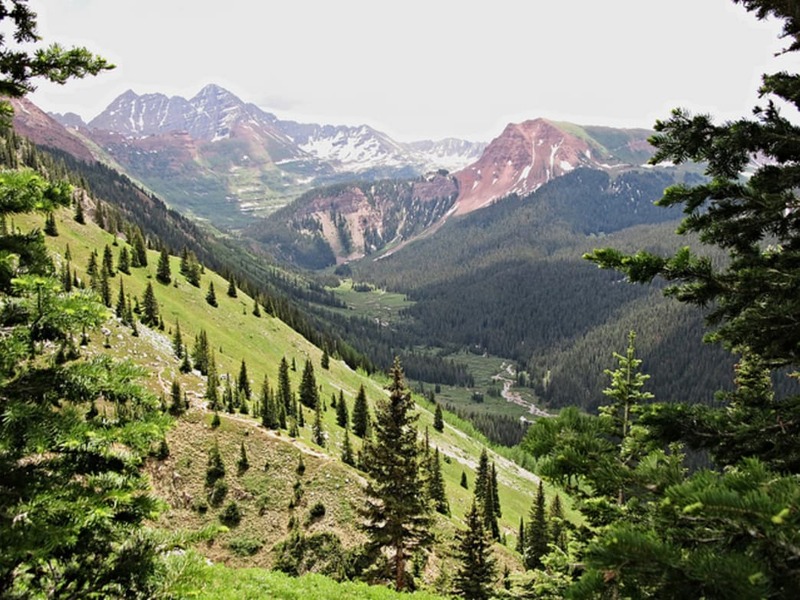 You’ll ascend up 18 switchbacks, each step offering drop-dead views of Collegiate Peaks, Independence Pass, and the rugged Elk Mountains, which feature the iconic Maroon Bells. Once you’ve reached the high-alpine fields and Midway Pond, it’s time to pull out the maps and get ready for an adventure into the Hunter/Frying Pan Wilderness. After reaching the Midway summit, the trail is bit vague; that’s where advanced map and orienteering skills come in. Once you’ve reached Hunter Creek, you can head into down for some well-deserved grub, or press on for another nine miles to Woody Creek along the Woody Creek Trail. 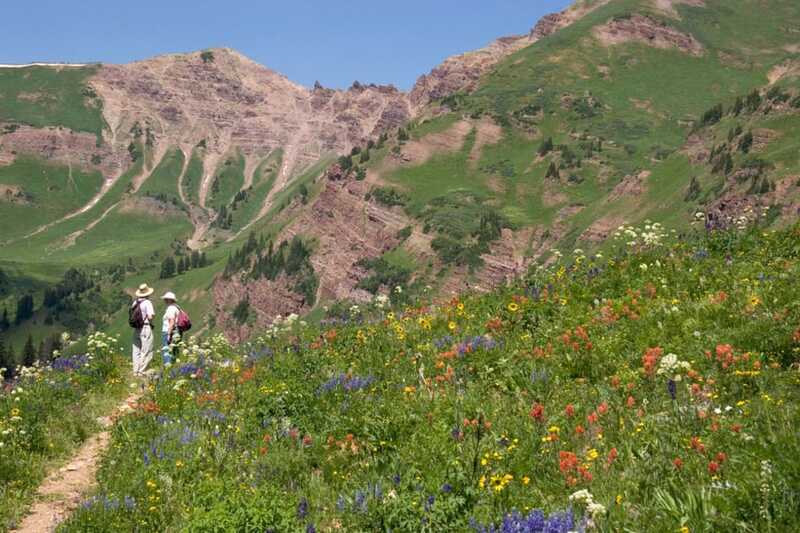 One of the most popular overnight hiking trips in Colorado travels about 11 miles between Aspen and the quaint Victorian town of Crested Butte. Backpackers have two options, West or East Maroon Pass. West Maroon Pass is generally considered the more scenic—and more difficult—route, but both routes are well-traveled and well-marked. If you pack light, and are a strong hiker, you can hike to Crested Butte, camp overnight and do the return hike to Aspen the next day. If you're traveling with a slower-moving posse, plan to break up the trip and camp along the way: A recommended spot is somewhere around Copper Lake if you’re on East Maroon Pass and between the two creek crossings on West Maroon. Whether you’re doing the hike in one day or several, make it even easier on yourself and call Dolly's Mountain Shuttle. For $15 per person/dog, they will pick you up and take you into Crested Butte, which is 14 miles from where the trail ends, and pick you up the next morning, or whenever you’re ready for your return trip and take you back to the trailhead. Ptarmigan Lake is a gorgeous, but difficult-to-access alpine lake in the Collegiate Peaks Wilderness near Independence Pass. An 8.4-mile roundtrip along New York Creek Trail accesses the lake. From downtown Aspen, backpackers will drive up Highway 82 towards Independence Pass for 10 miles until the reach Lincoln Creek Road. From here, it's a 3.1 mile-drive on the jeep road (four-wheel drive and high clearance required) until you reach New York Creek on the right; pick up the trailhead at the parking lot. Parts of the route, particularly the last couple miles to the lake, are not well marked, so it’s imperative that backpackers attempting to reach Ptarmigan Lake have a topography map and orienteering skills. 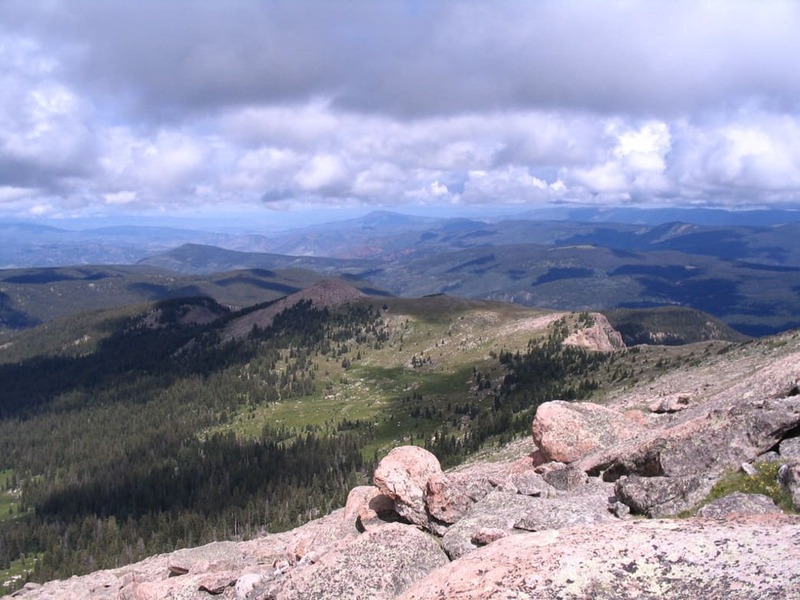 Dispersed backcountry camping in the Collegiate Peaks Wilderness is permitted, but a lightweight camping stove is required above the tree line. A mere 15 minutes from the heart of downtown Aspen, Conundrum Creek Trail combines jaw-dropping views and overnight camping with the opportunity to soak in a natural, backcountry hot springs . Conundrum Creek Trail is situated in the Maroon Bells Wilderness area up Castle Creek Road, and offers craggy views of Castle, Conundrum, and Cathedral Peaks. Conundrum Creek climbs 2,500 feet over 8.5 miles, so you'll really work for that soak later on. As one of Colorado’s most sought-after overnight experiences, Conundrum can get a bit crowded—especially during holidays. To help alleviate overcrowding, a one-night stay is suggested. Camping around the springs is permitted, but only at designated sites, which are about a quarter-mile away. Written by Leah Fielding for RootsRated.